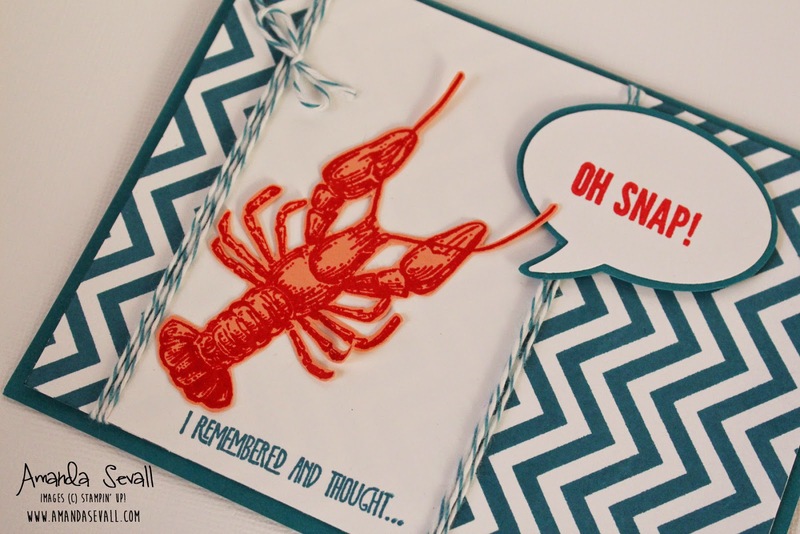 I stamped the lobster with Real Red onto Calypso Coral, then cut him out. 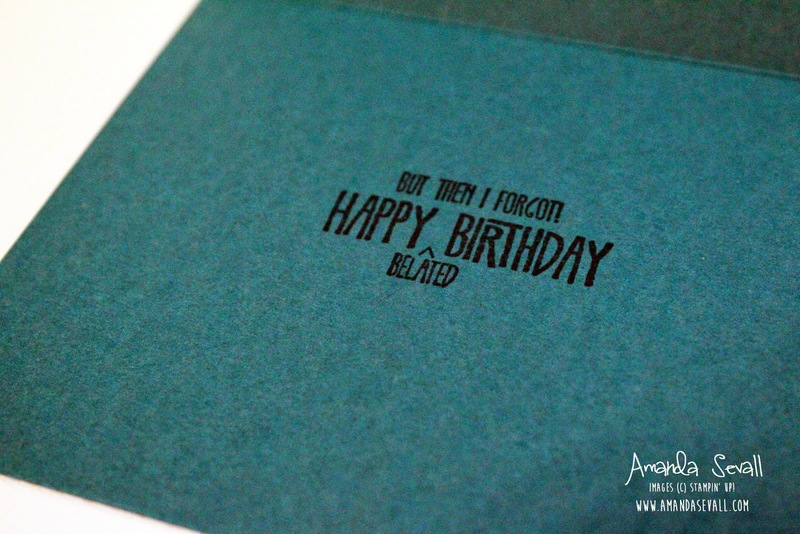 I'm not the best at remembering birthdays or sending cards on time.... so I probably need to make myself a stash of these! 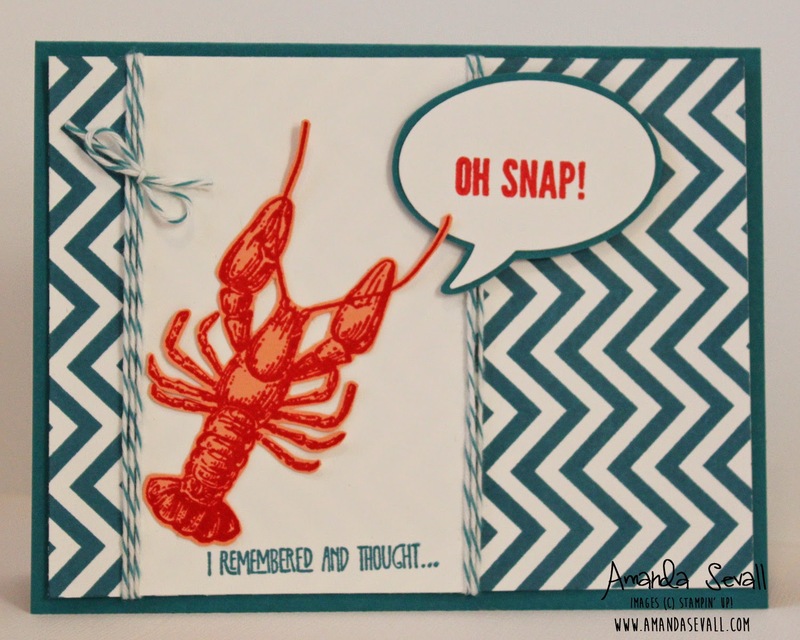 I continue to be amazed with how many ways you find to use that lobster! You need to do a post that shows all the different lobster projects all together.